We were sitting at our friend’s beautiful Airbnb apartment in Brighton, England, trying to decide where we would travel to next. We had just completed a road trip from Edinburgh to London with my family, and were now visiting friends in Brighton. But, it was time to move on. It’s not as if there weren’t numerous options, the world is a big place, it was just that we weren’t sure where we felt like going. Which destination was calling us? Which country was truly right for us in that moment? 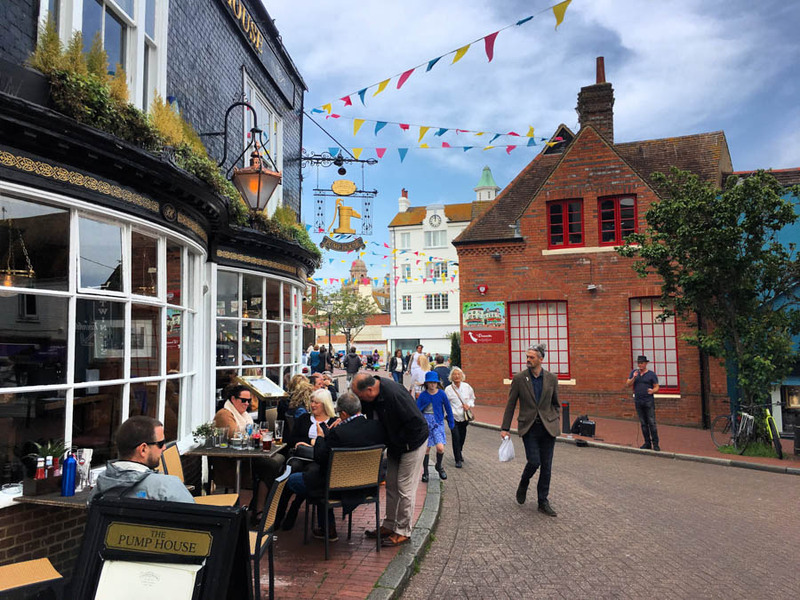 Where could we get some much-needed sunshine, enjoy great food and have local experiences? Eventually it dawned on us. Greece! The only reason we hadn’t put Greece at the forefront when brainstorming was because we had been there in the past, and were looking for somewhere new. 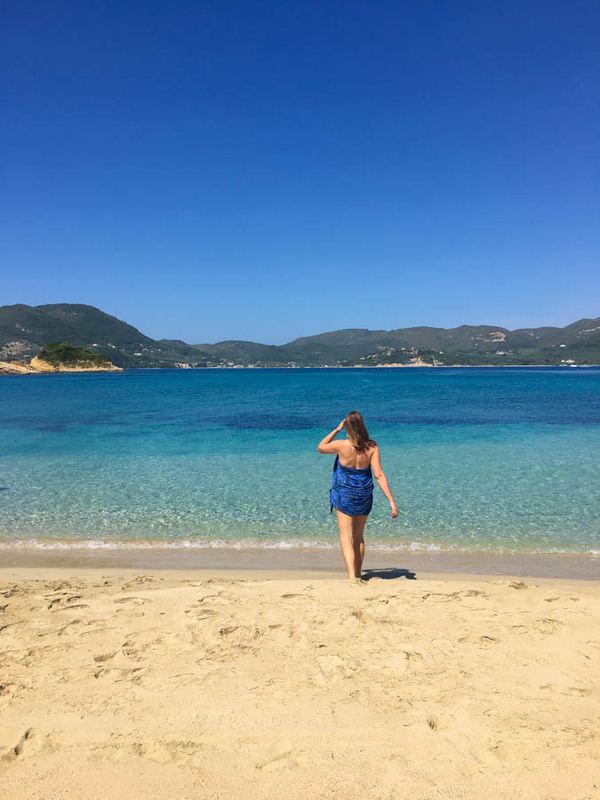 But, it had been 6 years since we’d touched down on Greek soil, and now seemed like a great time to return, especially given the fact that we could fly to a gorgeous island direct from London. 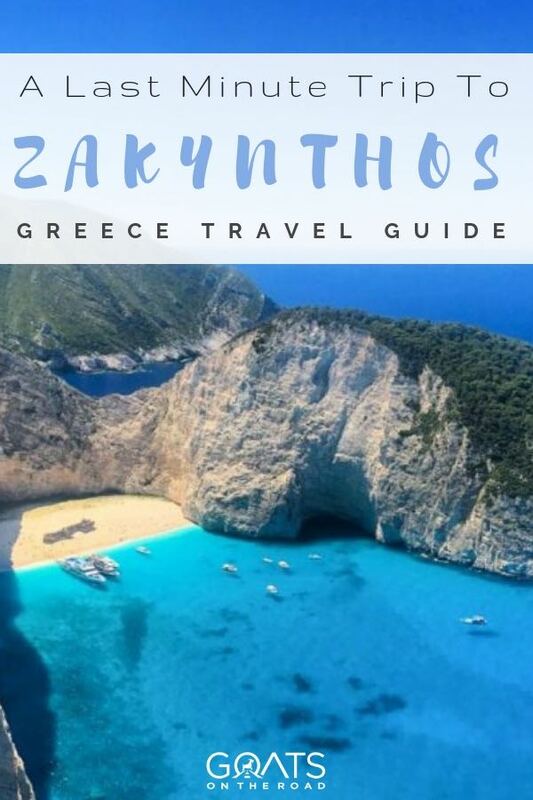 Prior to our spontaneous Greece plans, we had never heard of the island of Zakynthos, which is one of 7 principal islands (plus 5 smaller ones) laying west of mainland Greece. These are known as the Ionian Islands, which were under Venetian Rule from the mid 14th century to the late 18th century – while the rest of Greece was under Ottoman Rule. Due to the history and location of the Ionian Islands, there is more of an Italian influence here. During Venetian rule, many people spoke Italian and still do today. There’s Italian influence in the music, cuisine and language. 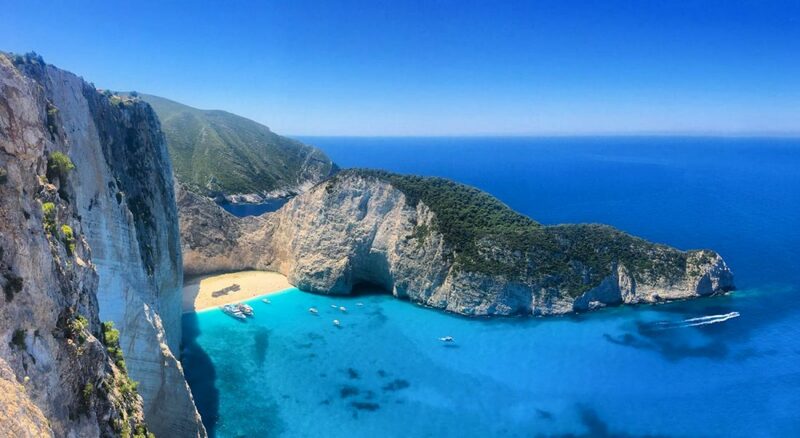 In fact, Zakynthos is actually called “Zante” by many, which is the Italian word for the island. Having said all of this, we’ve been to Italy, and this Ionian island still felt very much “Greek” to us…with the odd pizza thrown in. Arriving in Zakynthos, we knew we had made the right choice in coming to Greece. With our rental car, we zipped through the narrow streets, and reminisced about the last time we were on the islands of Santorini and Crete. 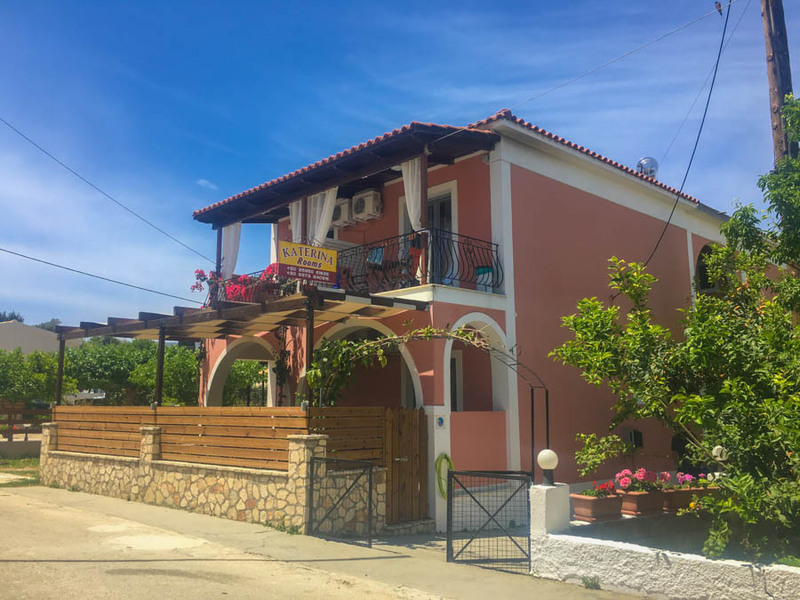 When we pulled up at Katerina Rooms in the town of Psarou, we felt the same hospitality and warmth from the owner that we had felt on our previous trip. Katerina may not have spoken any English, but she was kind and welcoming. Using hand gestures, we understood that we were able to choose between one of two rooms. We opted for the one with expansive views over the olive grove and to the Ionian Sea. 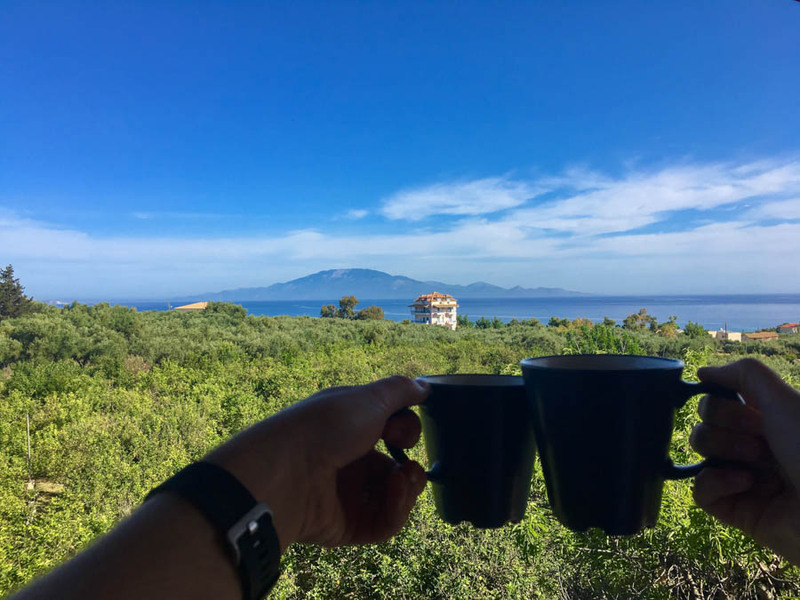 One of the unique aspects about travelling in Greece is that most of the accommodation options, even hotels, are actually little studio apartments. It’s the norm rather than the exception. Ours was fitted with a comfy bed, a closet, a little desk, a couch and a small fully furnished kitchen with a fridge and a hob. This guesthouse was our home for the following 9 nights and it was perfect. Each day started with us sitting on the deck, with a coffee made from our Handpresso (so glad we have that thing!). A few minute later we’d receive a knock at the door from Katerina holding a bag of fresh oranges, and asking if we wanted an “omelette” (which was actually an enormous frittata with meat, cheese and vegetables). Breakfast wasn’t included in the room rate, she was just being generous. With birds chirping in the trees and a tortoise sauntering around the garden, we’d enjoy our breakfast, freshly squeezed orange juice and coffee in the sunshine. 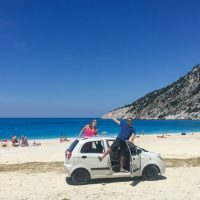 Each day we’d hop in our rental car and set off to explore a different area of Zakynthos. We had arrived on May 11th, which is considered the off-season / shoulder-season. Many shops were still closed, or were just opening up when we arrived. For us, this was the best time of year to be here as it meant there were enough restaurants open to give us some eating options, there were some tourists around so it didn’t feel like a ghost town, yet it wasn’t packed with people zipping around on ATV’s and motorbikes! We visited 9 beaches during our 9 day stay. Each stretch of sand, or pebbles, was different. From the vast, marine protected Gerakas Beach, to the cavernous, crystal clear water of Porto Limnionas, and everything in between. We loved them all. 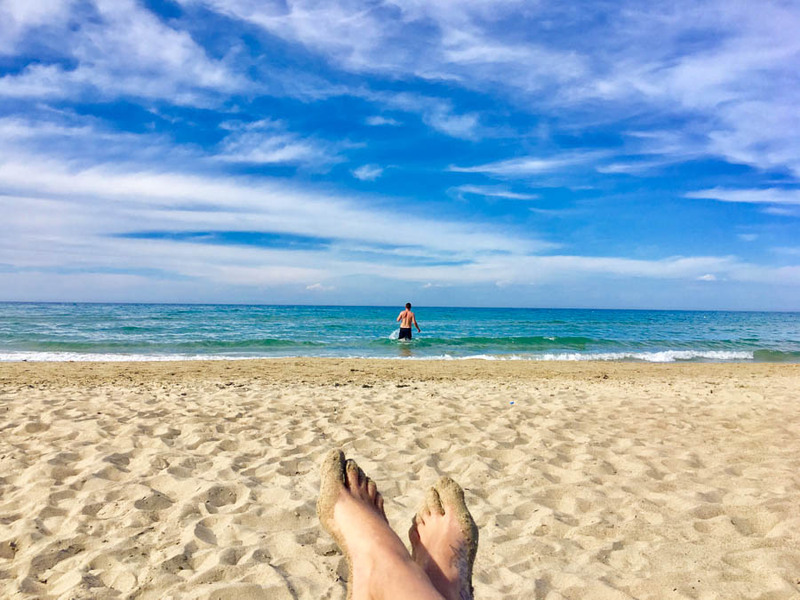 Lazing around on beaches is never a bad thing, but we were invited to set off on a speedboat with the guys from Luxury Island Events to get a different view of the island. And of course, we jumped at the chance! The limestone shoreline offered natural archways, hidden coves and caves, and pristine water. We were in awe of the natural beauty. Checking out the rocky coastline by speedboat! After zipping around the rocky coast, we arrived the backside of Marathonisi Island. This island is dubbed “Turtle Island” due to its shape, as well as the fact that the Loggerhead Sea Turtle lays its eggs here every year. Greeting us were sea caves, a sandy cove and incredibly turquoise water. This was the spot to jump in and cool off. From the backside to the front side of the island, we moored up on the beach and jumped off for another swim. There were a few other boats here, and a couple of vendors, but other than that, we had the place to ourselves. There are numerous beaches in Zakynthos, some more accessible than others. As part of our trip with Luxury Island Events, we were planning to visit the famous Shipwreck Beach. However, due to weather conditions, the waves were too aggressive and the winds were too strong. Our captain made the decision, we weren’t going to be visiting today. Shipwreck Beach is the venue for the famous beach photo that you’ve probably seen on the internet numerous times. In 1980, a freight liner was caught in a storm and found its way to this cove, where it crashed on the shore. 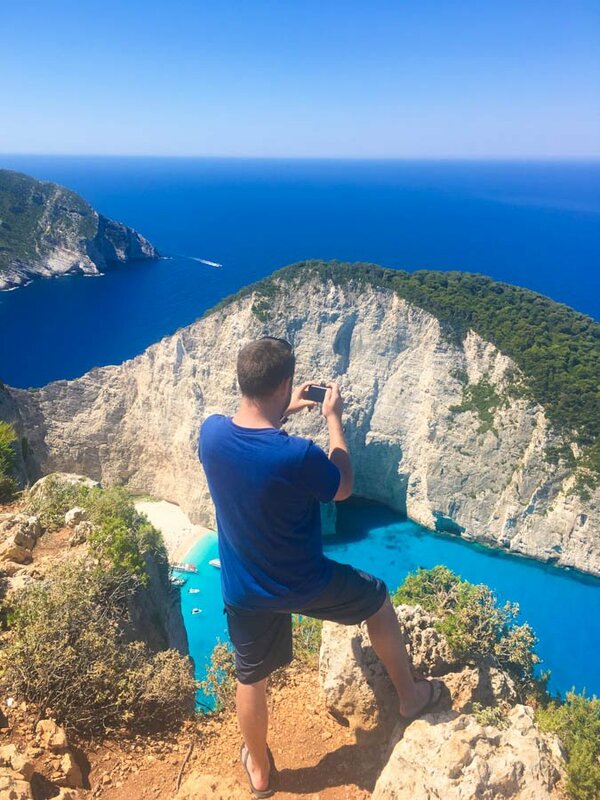 The aptly named Shipwreck Beach (also called Navagio Beach or Smuggler’s Cove) is best seen from both the water, and the towering cliffs above it. We may not have been able to get up close to the stunning beach, but we were able to view it from above, and it was truly spectacular! Look at this gorgeous setting!! Arriving at the small viewing platform, with its little metal railings for safety, we thought it looked like an OK vantage point, but not the greatest. Venturing past the security of the railings, we set off along the edge of the sketchy cliffs. With nothing to hold us back from plummeting to our deaths, we held on to each other and made slow, accurate movements to get to the edge. Important Note: A number of tourists have recently plummeted to their deaths trying to get the perfect selfie shot in this exact location. It is extremely tragic and is a reminder of how unsafe this area can be. It is not worth clambering over the rocks and risking one’s life for a photograph. Take EXTREME caution when visiting Shipwreck Cove from the viewpoints. Perhaps wait until proper railings are installed, before venturing past the viewing platform. We must have said “Be careful!” 50 times within an hour. 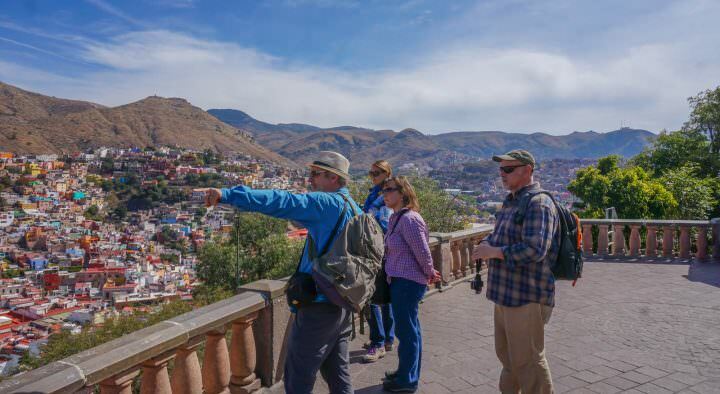 While we were being meticulous with our movements, moving one inch at a time, other tourists from Japan, Germany and the Netherlands were barreling towards the edge, stumbling a few times in their flip-flops while snapping a few photos and hurrying back to the tour bus. Nick and I held our breath each time. Cliffs are made of rock. Rock crumbles. These were also overhangs, meaning that they weren’t all that stable. After enduring some vertigo and the intense heat, we made our way back to our rental car. We had got what we thought to be “the” shot. What do you think? Is it a good shot?! 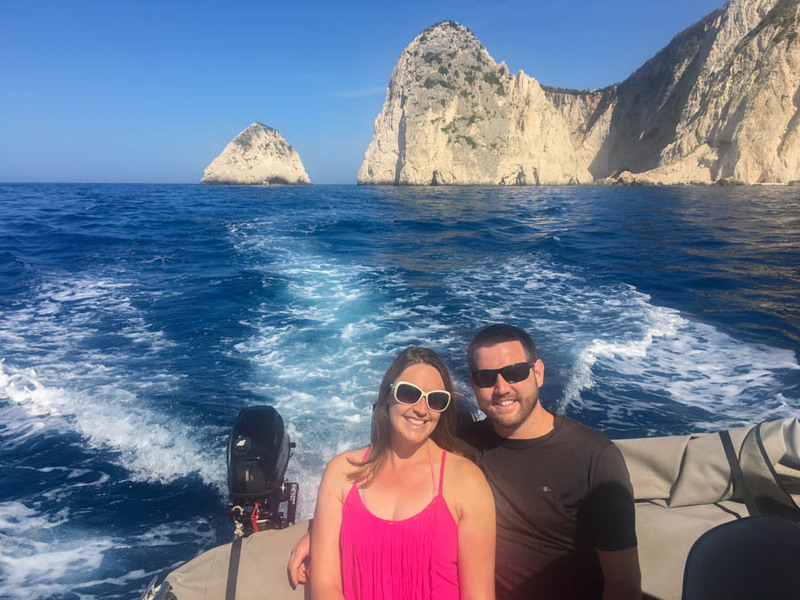 Zakynthos was an excellent introduction to the Ionian Islands and our upcoming month of travel around Greece. Each day was spent getting lost in little villages, interacting with local people, eating traditional food, watching the sun set and visiting lovely beaches. What more could we ask for?! Although we had nothing but amazing experiences during our 9 day stay, there was one, just one, thing that irked us. The garbage. Unlike the other Greek Islands, Zakynthos doesn’t have a landfill and has issues getting its garbage off of the island. We came across numerous overflowing dumpsters and piles of garbage, which is unfortunate. Thankfully, there wasn’t any garbage on any of the beaches. Apart from that, we have nothing negative to say about this wonderful place and would most definitely like to return to see more. Visiting Greece in the off-season or the shoulder season is a great way to find discounts on hotels, food, tours and transportation. We arrived May 10th and it isn’t high season until mid-June. In our opinion, you need to have a rental car on the island. Check out websites like Expedia.com for discounted rental cars. Ours was $14 / day and was worth every penny. Check out websites like Booking.com for discounts on apartments in Zakynthos. We stayed at Katerina Rooms and highly recommend it. The rooms were comfortable, well stocked and Katerina herself was lovely. 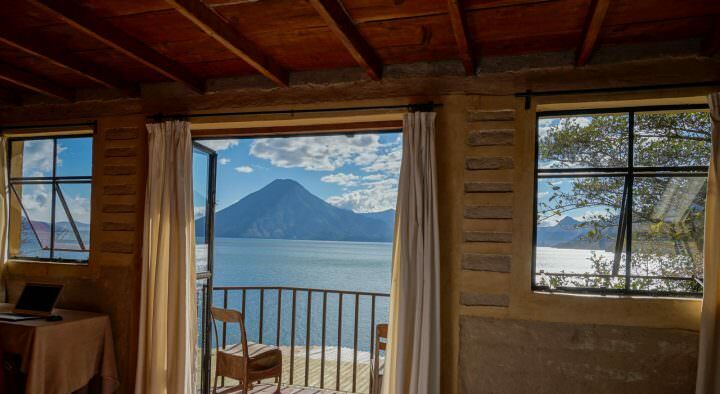 We spent $22.50 / night. 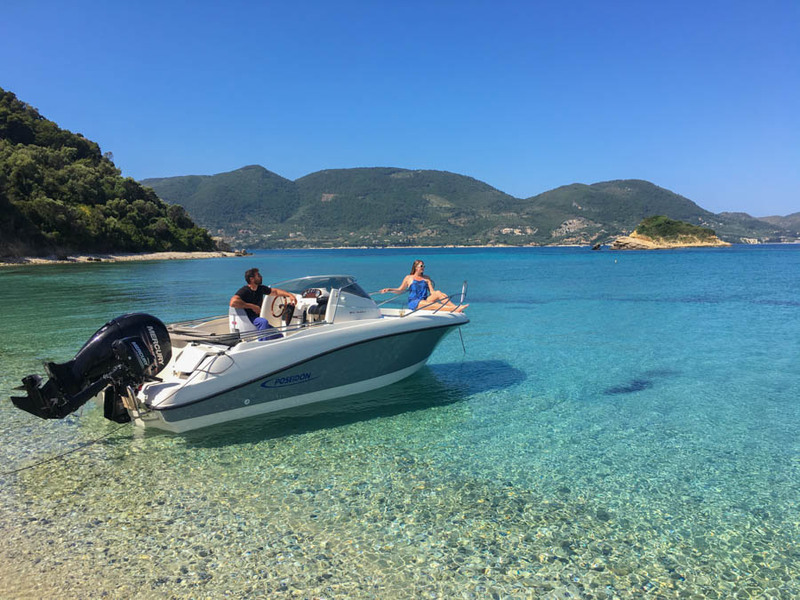 If you want to hire a boat with a driver and head out on the sea for the day, check out Luxury Island Events. They also rent out boats to individuals – and you don’t need a boat license! The speedboat we had was practically brand new and we had a great afternoon. 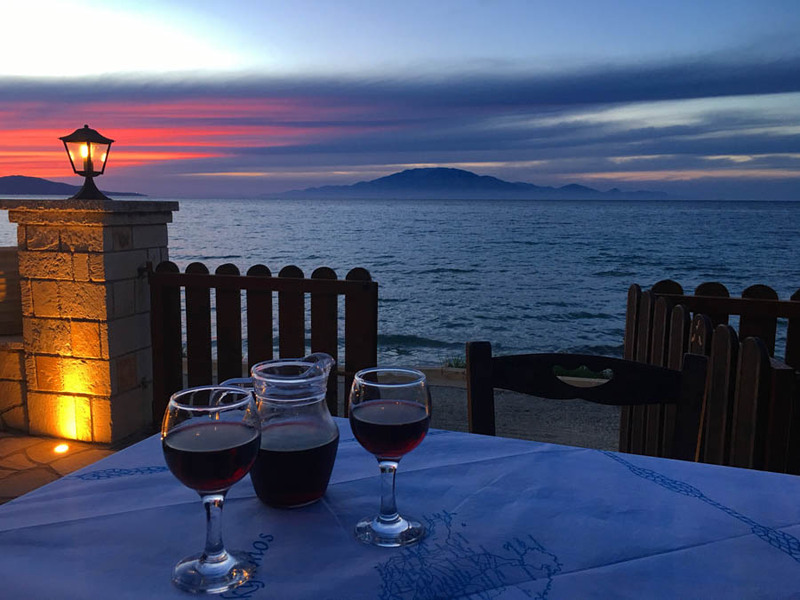 There are numerous places to eat on Zakynthos, but one of our favourites in terms of the view, service and food was Lofos. The sunset views here are great! For useful information on travelling to Greece, check out the wonderful travel portal, Discover Greece. 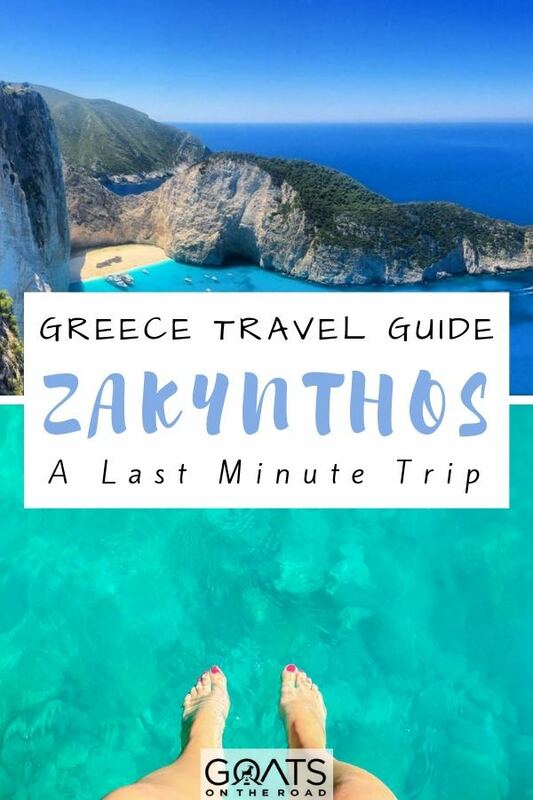 Stay tuned as we check out the islands of Kefalonia, Corfu, Chios and Lesvos during our one month of travelling in Greece  Have you been to Zakynthos? What are your impressions of the island? A huge thank-you to Discover Greece for assisting with our boat tour! 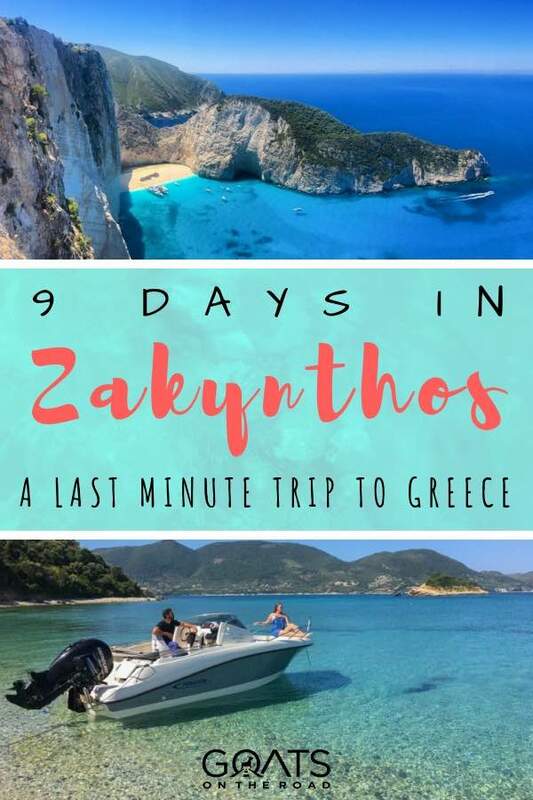 The rest of our trip to Zakynthos we planned, booked and paid for ourselves. All opinions and thoughts remain our own, despite any complimentary services received. 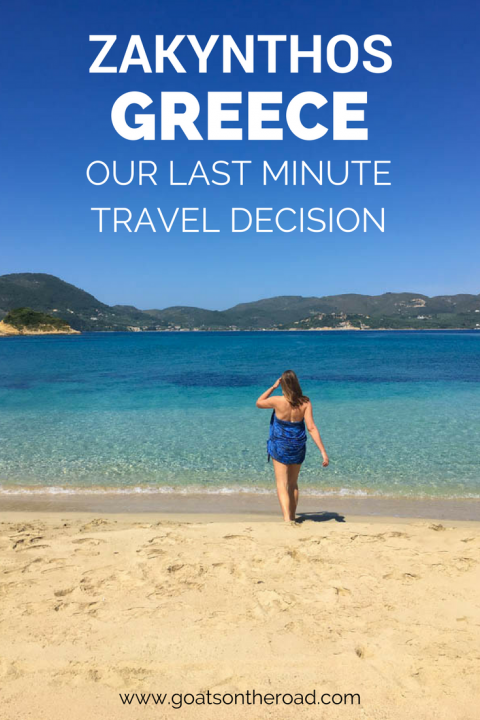 After deciding that we wanted to travel to Greece for a month, we reached out to Discover Greece, who became our amazing partners for this trip! 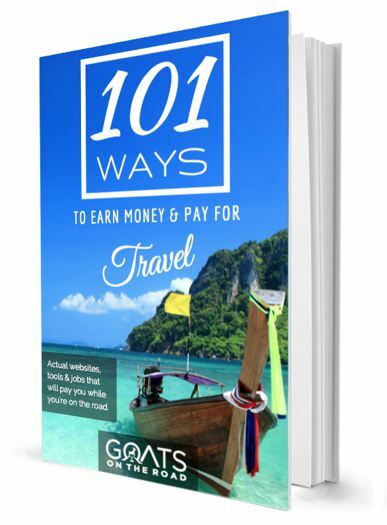 The reason we’re able to partner up with wonderful companies like this is because of our travel blog, and loyal followers (you!). 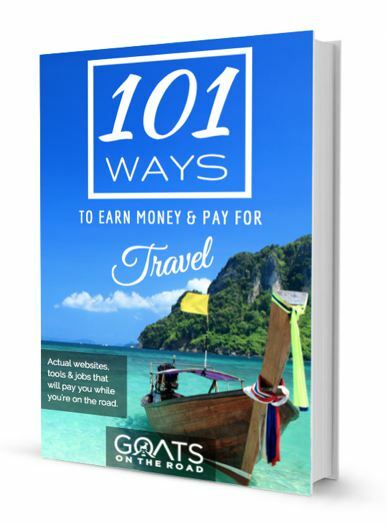 If you’re interested in starting a blog and eventually working with tourism boards, tour companies and airlines all over the world, click here to get started. If you start a blog using the link in the article, we’ll send you our pro blogging eBook, free! Hi Dariece, I must say your last minute is millions worth. This place is stupendously superb, the view of nature and landscape is so beautiful, its like we are in the heaven of earth. This place is on my top of the list. 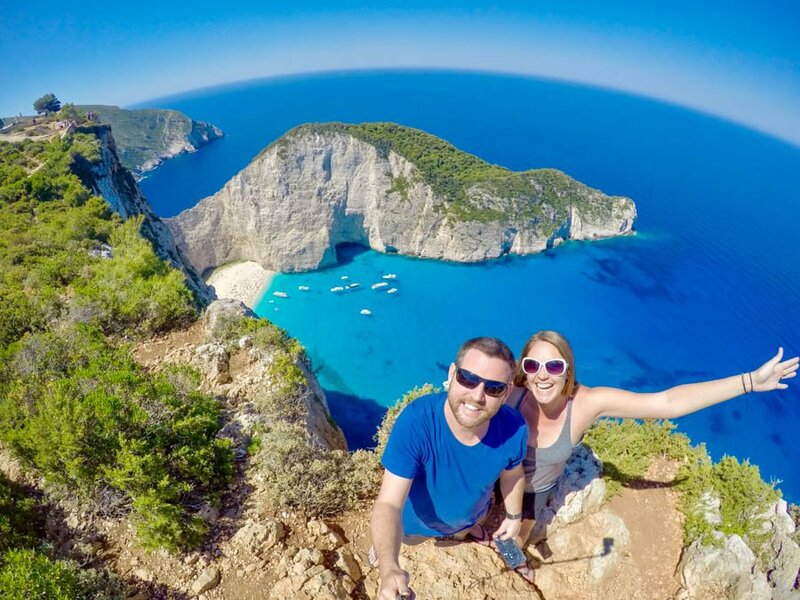 That is a beautiful view and an incredible shot, but it is an extremely dangerous spot, and I’m sorry to share that 2 tourists recently fell to their deaths while trying to take the “best selfie” in that same location. Please warn your readers to use extreme caution. A very nice blog for a very nice place. I would very much like also to go here! I just want to ask, how much sun it gets morning vs afternoon? Thank you so much for recommending port limnionas . This was my favourite swim spot on the island and never heard of it before your blog. 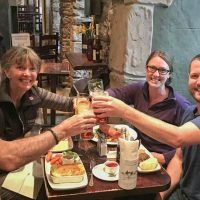 Stopping at il sueno after our boat tour was also perfect – fantastic advice. We went paddle boating today on Laganas beach today and saw two turtles. One coming up for air and swimming a metre from our boat for a good 5 minutes.